We’re cruising right along in this book challenge (and in 2014). It’s hard to believe we’re into April already. The theme for April’s reading is “Month of Humor” (thanks to April 1 being April Fool’s Day). For this month, we’re reading funny books by funny people – which should prove to be a welcome break from some of the heavier selections we’ve picked up recently (I mean, The Red Queen was excellent, but not very funny). We’re already well into the month, finishing up our last selection for March and first for April, Tina Fey’s Bossypants. So here’s the list! I hope you’ll pick one (or more) and read along with me, and join in each week for my review, and a book discussion in the comments! We’ve already tackled a book by Sedaris during this book challenge (see: Holidays on Ice in December’s “Month of Holidays” readying). Sedaris has already proved to me that he can be not only funny, but slightly dark, sometimes twisted, and very sentimental. 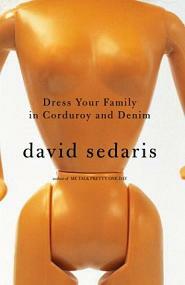 I’m looking forward to tackling another of Sedaris’s books. Dress Your Family in Corduroy and Denim is a collection of short stories, so prepare for a bunch of laughs! I LOVE JIM GAFFIGAN. I can’t express this fact enough. He is so funny. I have watched all his specials. I love that his comedy is about realistic things – family issues, food, home births. 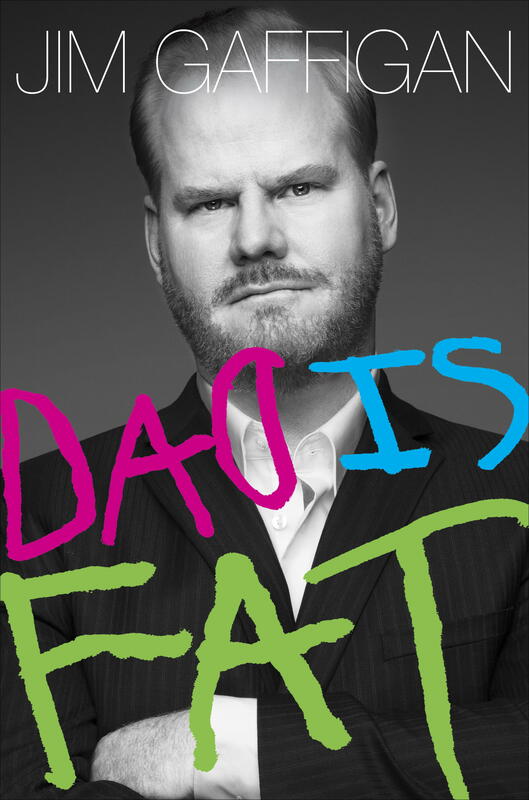 When I found out he wrote a book (and titled it Dad is Fat… hilarious! ), I knew I had to read it. April’s “Month of Humor” theme was a great time to work this book into my reading schedule. If it’s half as funny as Gaffigan’s comedy specials, it’ll prove to be an excellent choice. Our favorite bounty hunter, Stephanie Plum, is making a second appearance on our reading list. 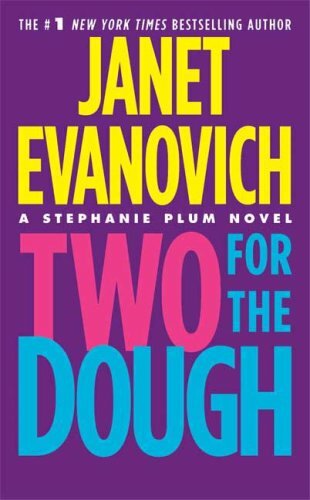 Last month we read One for the Money, and I was pleasantly surprised by how downright funny Evanovich’s novel was. Stephanie is a really funny leading lady, and reading about her (mostly failed) attempts in bounty hunting is non-stop entertainment. This book will fit wonderfully into our “Month of Humor” theme, and will be the second time in the entire book challenge that we’ve picked up a book that is a second in a series. If you haven’t read One for the Money yet, I recommend picking that up this week, and catching up with Two for the Dough at a later date. 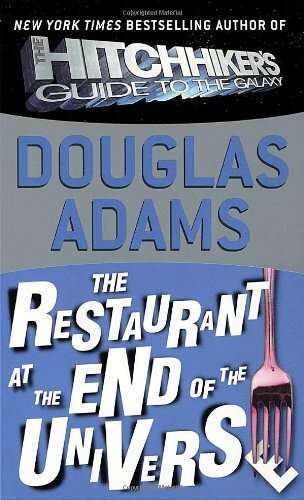 Speaking of tackling a “second book in a series”… We’re doing to wrap up our “Month of Humor” and segue into May’s “Month of the Apocalypse” reading by tackling The Restaurant at the End of the Universe by Douglas Adams. This book is the second in his Hitchhiker’s Guide to the Galaxy series. We read the first book, The Hitchhiker’s Guide to the Galaxy, back in November, when our theme was “Month of Travel” (you know… travel the galaxy). How does this fit in with the “Apocalypse?” Well, the Earth literally ends in the first book, so we’re going to find out what happens next, while hopefully laughing our butts off. So there you have it – our very carefully selected books for April’s “Month of Humor” themed reading. I hope you’ll pick one (or more), follow along, and tell me your thoughts in our “book-club-like discussion” at the end of each week. This week we tackled the second of our November’s “Month of Travel” reading, and this week we picked up Douglas Adams’ sci-fi comedy, The Hitchhiker’s Guide to the Galaxy. To my friends who have been recommending this book to me for years on end – my greatest apologies that it took a book challenge for me to believe you. What an amazingly funny book!!!! I have always been a fan of British humor (and a huge fan of British sci-fi… as in “Doctor Who”), so I don’t why it’s taken so long for me to give in and pick this one up. Adams writes with such dry humor and an overabundance of wit, and I found myself literally laughing out loud while reading this. My poor husband was subjected to totally out of context aloud readings of things he couldn’t possibly understand, while trying to decipher what I was saying through all the giggles. The Hitchhiker’s Guide to the Galaxy follows three main characters – Arthur Dent (England Native and Earthling), Ford Prefect (Galactic Hitchhiker and content editor of the book), and the book, the Hitchhiker’s Guide to the Galaxy, which contains tips and tricks for galactic hitchhikers wanting to see the galaxy while spending very little money. 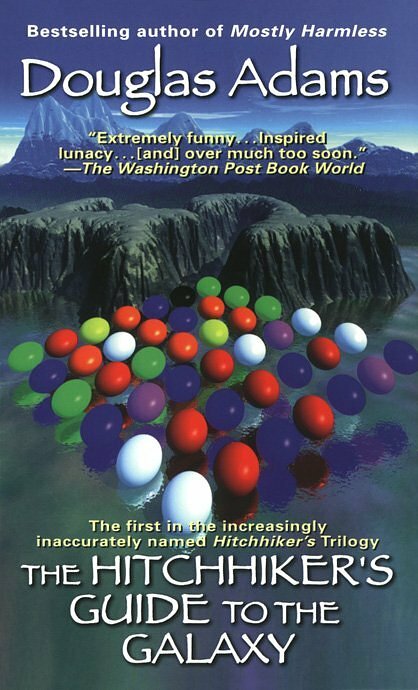 The guide makes appearances by offering hilarious entries about various locations around the galaxy, including Earth’s entry… “Mostly Harmless.” Ford Prefect has been stranded on Earth for 15 years, and at the moment of its destruction, grabs a pint at the pub, and rescues poor Arthur Dent. Arthur witnesses the destruction of his planet with little emotion, and joins Ford on a dangerous trip hitching rides across the galaxy. To avoid any spoilers, I’ll just say Ford and Arthur run into some very strange creatures, some familiar (to us Earthlings), and some impossible! Adams creates a great cast of comedic characters, from the flighty Ford, to the adaptable Arthur, a few alien races, and even the manic depressive robot, Marvin. Arthur experiences a very improbable few days throughout the book, one that promises to keep you entertained (and possibly exhausted, if you’re Arthur). This book is smartly written, full of laughs, and endlessly exciting! This book was a much welcome break after the tedium of Letters From Amelia last week. The book kept me laughing, but I was a little disappointed at how abruptly it ended. I guess that’s why there’s four more stories, which possibly (?) follow Arthur and Ford, and the Guide, as they make their way across the galaxy. I hope I’ll have the opportunity to fit the second book into my reading challenge, but I might just need to play catch up next September when my challenge ends. I hope you read along with me this week! I couldn’t stop laughing out loud, and had a hard time putting this one down. It’s tough not to move onto the next book, but I have both homework and housework to catch up on! What did you think about this book?! This week we begin our 11th book for the reading challenge (it has gone by pretty fast, huh?! ), and the second week of November’s “Month of Travel” theme. I’m finding it hard to believe we’re 10 days into November, and find myself getting anxious about the oncoming holiday season! This week’s reading is a sci-fi/comedy by Douglas Adams called The Hitchhikers Guide to the Galaxy. The book is the first of three in his Hitchhiker’s trilogy, which take readers traveling around the universe (just because I said “travel,” doesn’t mean I only intended to travel around Earth this month!). I am really looking forward to this book! It was recommended to me by my friend Shannon (hey, Shannon!! ), and I’ve heard nothing but good things about this series from a lot of my friends. Shannon is already 1 for 1 in the “book recommendation” department, having suggested I read “Abraham Lincoln: Vampire Hunter” in October (which I really enjoyed). I have been told a few times over the last few years by a good friend, Sam, to pick up this book… I should probably have listened a while ago, because everything Sam recommends (or already loves), I have loved (hey hey hey, Sam!!). I have seen the Hitchhiker’s Guide movie, but it’s been years, and I’m looking forward to approaching the book with not much memory of the movie (it’s always better to read the book first… I think we can all agree on that fact). If you head off to the library or the book store to grab this one, don’t be concerned with the size. I was SUPER intimidated when I went by the library to find this book and found a GIGANTIC volume. Little did I know, later copies of this book is published as a collection, all three novels in the series making up one big book, entitled The Ultimate Hitchhiker’s Guide to the Galaxy. For this week’s challenge we are only reading the first book, The Hitchhiker’s Guide to the Galaxy. Who knows – we might be inspired to read Book 2 and 3 later on in the book challenge this year! I hope you’re reading along this week! This should prove to be a good one! Wow! We are rapidly approaching the end of October (where did the time go?! ), and our Halloween reading is coming to an end. One book (Guilty Pleasures) and two reviews (Guilty Pleasures and this week’s reading Midnight in the Garden of Good and Evil) left, and then it’s time for our November reading. I figured I should probably release the list (which just got finished now) so you can pick up the books you need if you are following along! Remember, the library is a great resource (and will more than likely have all of these books), or you could more than likely find these books at a used book store and save some money! 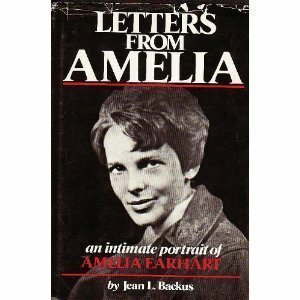 Backus uses real letters from Amelia Earhart, the famous and doomed pilot, to piece together Earhart’s private life. I’ve always found Amelia Earhart to be an interesting subject – mostly because of the mystery surrounding her death – and thought this would be a good chance to pick up a book about her life. The book is a biography, and will be the first biography of our reading challenge. This “travel” book takes place in outer space, and is a great sci-fi comedy book to add to our reading list. When you pick this one up at the library, don’t be intimidated by the size. The book is the first of a series, and has been grouped together with the subsequent books to make one gigantic volume (you might find it under The Ultimate Hitchhiker’s Guide to the Galaxy), but we’re just reading the first part, The Hitchhiker’s Guide to the Galaxy, for this reading challenge. If you continue reading the other books, that’s great! I hope you do (and I hope I’ll get a chance to eventually, also). I’m a little ashamed to say I’ve never read this classic novel! I’m looking forward to picking this one up … especially because my new 17th and 18th Century British Literature class requires me to read it this semester, so I’ll be knocking out two birds with one stone! I swear I had this book picked out and paid for (yay used book store $1.50) before this class opened (otherwise I wouldn’t have bought it at all because it’s in my textbook). 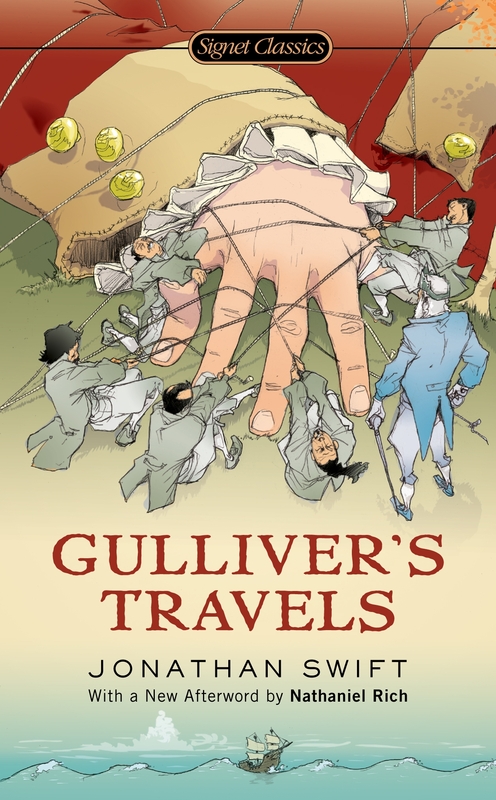 I’m looking forward to reading this book for the first time, and discovering all about Gulliver and his travels. 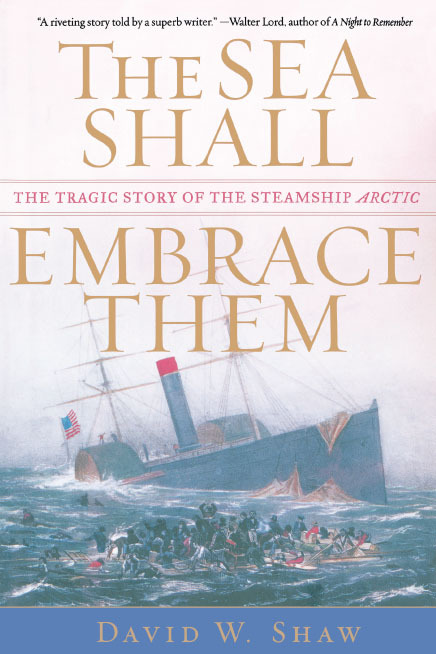 This book is a historical, non-fiction account of “The Tragic Story of the Steamship Arctic.” Shaw writes about the 1854 collision between two steamships, and the “harrowing events” that followed. The book came with a wonderful recommendation from my mom (thanks, Mom! ), and was passed on to my husband (who needs to be really bored to read a book), so I am making good use of it and putting it into our book challenge. If my mom liked it, I know I will! So there you have it, folks! Our reading list for November. It’s hard to imagine we’re so close to the end of 2013 already! Head out to your library and get prepared to read along!